The Russellville/Logan County Retired Teachers Association will have a luncheon meeting at 11:30 on July 11 at Crittenden Drive Church. New retirees will be honored guests. Members are asked to bring non-perishable food items for the summer backpack programs. Please make reservations by Monday, July 9, by calling Karen Milliken at 270-726-9717, 270-647-0065 or email at rlcrta@gmail.com. If you are not a member, please come and join the association. 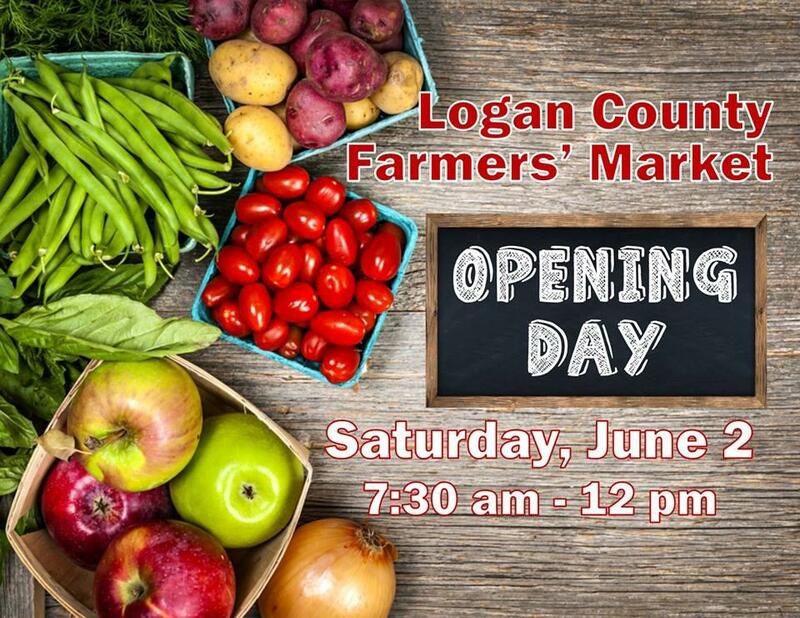 A special edition of the Logan County Farmers' Market will be held Thursday at the Logan County Health Department from 9 a.m.-2 p.m. The public is invited to purchase healthy fruits and vegetables at the health department. Logan County High School student Caitlyn Mosley of Lewisburg has been honored for winning the freshman division of a state poster contest. Kentucky students were honored for posters and essays that show how foods get “From Farm Gate to Dinner Plate” during the annual Poster and Essay Contest awards ceremony Friday at Whitaker Bank Ballpark. Each winner received a $100 check from Kentucky Agriculture and Environment in the Classroom (KyAEC), a meal featuring foods from Kentucky Proud producers, and tickets to the Lexington Legends baseball game against the Charleston (S.C.) RiverDogs. Her sponsoring teacher was LCHS agriculture teacher/FFA advisor Jay Campbell. Youngsters and families can enjoy activities and half-price admission to carnival rides Wednesday evening at the Logan County Fair. As part of the Stuff the Bus backpack program, families which bring at least two items for Stuffing the Bus can get in for $5 per person instead of $10. Items needed can be seen in the flier on The LoJo's Facebook page. This is also the night for the Tiny Tot Big Top where youngsters up to age 4 can participate in a variety of activities. See what they are in the accompanying photo. The archery tournament is also part of the day’s agenda. New student registration and enrollment for Logan County Schools will be on July 23 and 24th from 9 a.m. – 3 p.m. at the new Career and Technical Center (2400 Bowling Green Road). This is for any new student enrolling in Logan County Schools, grades Kindergarten through 12th. Families will be able to complete all enrollment requirements in one location, and get all questions answered about food service, school nurses, bus garage, guidance counselors, attendance, and special education. Open House will be held at Logan Christian Academy Sunday, July 1, from 2-4 p.m. “The new school is located in the former Daymar College campus on the hill south of Wal-Mart. Those attending can tour the school, see the classrooms and meet the teachers. Although law enforcement officials have not yet released an official report on the wreck which took place Sunday morning which took the life of Coach Phillip Hatchett, The LoJo has heard from several sources that fellow cyclist Morris Lynn Kisselbaugh suffered a serious back injury in the crash involving a vehicle and multiple cyclists. Kisselbaugh is retired from law enforcement and from Logan Aluminum. Kisselbaugh ran unsuccessfully for the Democratic nomination for sheriff last month. He was an outstanding basketball player at Russellville High School from 1972-74. Both he and Coach Hatchett were coached by Mickey Meguiar. No word has been released on his condition at this time. A press release about Phillip Hatchett's coaching career from Western Kentucky University appears on The LoJo under Sports articles. Retired insurance agent Boyce Coles will be the Democratic nominee for Fifth District magistrate in Logan County. He won a coin flip for the nomination Tuesday morning in the office of County Clerk Scottie Harper. He finished in a tie with Barry Perkins in the primary election in late May. He will be matched in the Nov. 6 General Election against Robert Earl Chyle, who won the Republican nomination by three votes over Ann Crawford. Farmers' Market Senior Vouchers are available, beginning today. People who meet age and income requirements can gets coupons for free fruits and vegetables to be used only at the Logan County Farmers' Market. The vouchers must be obtained at the Russellville Senior Center. The Farmers' Market will be open today and every Tuesday in June, July and August from noon-4 p.m. It is also open on Saturdays from 7:30 a.m. until noon. Cancer has struck the Morgan family of Roy's Bar-B-Q again. A benefit for Oscar Howard, husband of Roy's managing partner Kathy Morgan Howard, began at 4 p.m. today and is scheduled to last until 7 p.m. Food, music and conversation will all be involved. A pie giveaway is scheduled at the end, and bidding will be held on donated items. Clay Bilyeu will provide live music. Oscar Howard was recently diagnosed with Stage 4 stomach cancer and will begin chemotherapy this week. 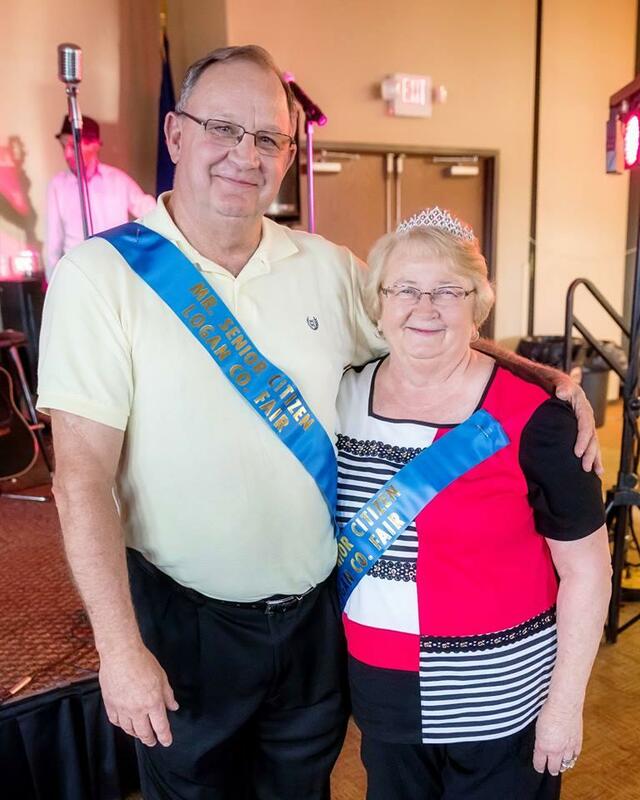 Cancer has claimed Roy's founding parents, Ralph and Jolene Morgan, along with two of their sons, Billy and Roger Morgan, and other family members have dealt with cancer. From David Guion: The Southern KY Pastfinders will meet Saturday, June 16 at 7 p.m. at the Logan County Public Library. Our guest this month will be Simon Bolivar Buckner, former Confederate General and past governor of Kentucky. 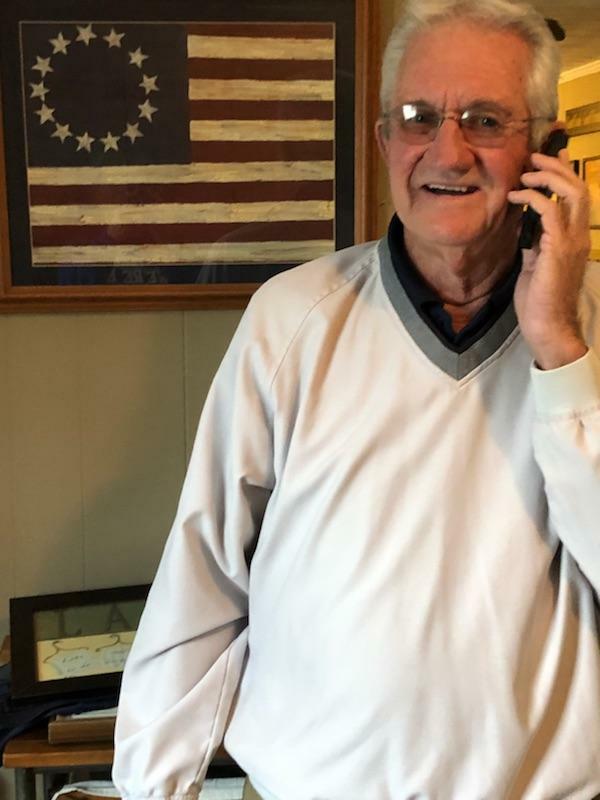 He will be portrayed by Buckner historian Don Elmore from Somerset. Don will be sharing the life and times of this famous Kentuckian, and you don't want to miss it. The public is invited and the admission is free, so don't let history be a mystery, come learn with us. 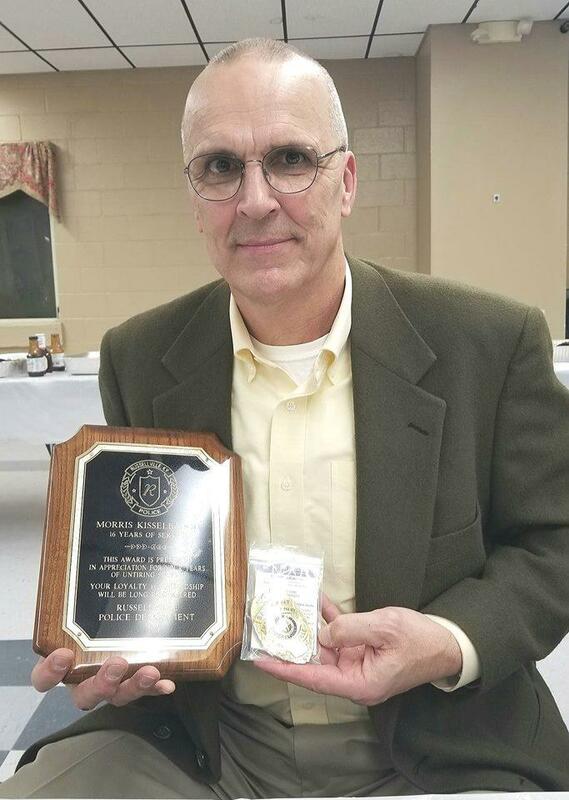 From William Woodard: The 40th annual NAACP Freedom Fund Banquet (FFB) is Saturday, June 9, at 6 p.m. in the Russellville City/County Park Sportsman Club. Our speaker is Rev. Jesse Varner, associate minister of Mt. Zion Baptist Church, Oakland.. We will award scholarships to Shailyn Milan and Ja'Jara Hunt from RHS. The menu features roast beef, country ham, green beans, macaroni and cheese, rolls, salad, a variety of deserts, tea and water. Tickets have been pre-sold, but are available at the door; adults are $20 and youth under 18 years are $10. The public is invited to hear our speaker's presentation and support scholarship recipients. The first Tuesday session of the Logan County Farmers' Market is scheduled this afternoon from noon to 4. The market is located at the UK Ag Complex behind the Logan County Extension Office. Shoppers will find squash, cucumbers, onions, spring peas, zucchini, jams, breads, scones, soaps made from natural ingredients and more. Legendary Franklin-Simpson girls basketball coach Lex Lindsey will resume coaching the Lady Cats, Franklin's WFKN radio reported Monday afternoon. Before he resigned after the 2011 season, Lindsey was ultra-successful in Franklin. In all eight seasons he was the F-S girls coach, the Lady Cats won at least 20 games on the way to a 209-43 record. His teams won six district and three regional championships. His 2008 team reached the state finals, losing by a single point. His first coaching job was at Logan County High School where he helped Mike Haynes coach the Lady Cougars to two state quarterfinal berths.He spent one year coachin Allen County-Scottsville boys team one season. The Logan County Farmers' Market will open its 2018 season Saturday morning from 7:30-noon at the UK Ag Complex behind the Extension Office. It will be open Saturday mornings and Tuesday afternoons (noon-4) in June, July and August. In September and August, Saturdays will be the only day. Roger 'Goober' Duncan, one of the market's longest-tenured vendors, is serving as president this year with help from his daughter, Tammy Duncan. Saturday's market will also be a craft day and vendors will offer their creations in addition to fruits and vegetables.